After the success of the previous editions, sealed by the presence of the art director Roberto Faenza, Giuseppe Piccioni, Marco Risi, Ettore Scola, Alessandro Haber, Alessandro D’Alatri, Giò Giò Franchini, Mimmo Calopresti and Daniele Luchetti as chairpersons of the jury, Ignazio Senatore, psychiatrist and film critic, will conduct the annual Festival of Short Films “I Corti sul lettino – Cinema e Psicoanalisi” aimed at Italian and foreign filmmakers. The event will take place on 3- 6 October 2018 in Naples, involves the screening of short films that will be selected by a jury composed of qualified directors, actors, directors, film critics, journalists and operators of the sector. Each work, directed after 2014, must last a maximum of 18’, not including titles and credits. 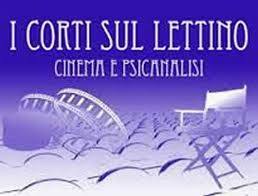 must submit short films in Italian or with Italian subtitles. – The short films of foreign authors, which do not have to be in Italian language are non accepted.. Membership is free and the deadline is the 10 september 2018. The competition is No fee.